Time to Celebrate this week with Ruth Ayers. This practice is rejuvenating and centering. I recommend it. You can fin d this week’s posts and add yours here. First off, this is my 300th post. And it all started here. Thank you, Ruth, and all who celebrate beside me. You have made me a better writer, reader and teacher. Sadly, I “taught” writing for years without actually doing any authentic writing of my own. Writing in this space has opened my eyes and heart not only to what writing might be but also to what needs to be done to teach anything well. My second celebration is the writing about reading Twitter chat, #WabtR, on Tuesday. We had read Cynthia Lord’s new book A Handful of Stars as a virtual club, writing and sharing our notebook jots on a Google doc. The intent of our chat was to talk mostly about our reactions to the process. I thought it might be a small group, so I offered to host. I had no idea. Oh my gosh. It was a wild party of reading enthusiasts. Wild and wonderful. If you missed it check out the Storify here. Goosebumps, right? I’ve read all of her books and met her at NCTE, along with a long line of others waiting to get her autograph. What a thrill to see her on Twitter at our chat. Our chat and my reaction to it made me think. And, leads to my third celebration this week, reading professional literature. Franki Sibberson and Bill Bass’s new book, Digital Reading, is a joy. 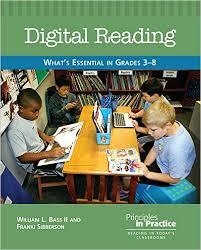 In the spirit of Donalyn Miller, it authentically recognizes how the digital world enhances our reading lives. Franki looks at how she uses digital media personally and then takes that to her students. Our teacher Google book club, Twitter chat and appearance of the author is just one example of how digital reading could go. It’s not just reading an e-book or doing research on the web or writing about reading electronically or connecting with an author. It’s all of it combined in a purposeful way to get more out of reading. I’m also devouring Jennifer Serravallo’s new book, The Reading Strategies Book. Bottom line, if you teach reading K through 6, get this book. Serravallo does a beautiful job delineating what students need and how to get them there. I’ve taught reading to 5th graders for 11 years, boy I wish I had this book sooner! Serravallo’s descriptions of text attributes by level help teachers understand the literacy journey our students travel. Every year I have kiddos on the edges of that bell curve. This book will help target their needs with straightforward strategies by level and goal. On deck: Colleen Cruz’s The Unstoppable Writing teacher and the new Reading Units of Study from Lucy Calkins et. al. My fourth celebration is for the next round of virtual book club reading. After our reading and chat on A Handful of Stars, many wanted more. So we split off into smaller groups choosing books that fit our learning needs. I choose, what I hope is a “just right” read for me, The Storied Life of A.J. Fikry. Some have taken the work to their schools. My school will reading on Honey by Sarah Weeks. 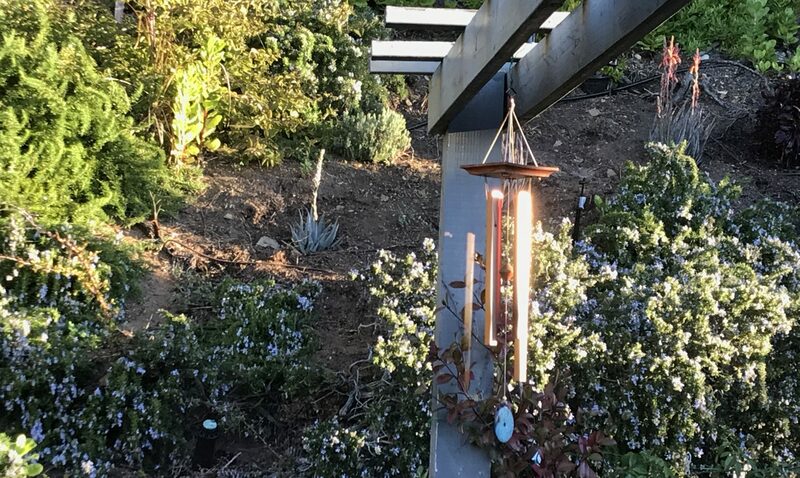 Finally, I’m celebrating a few more weeks of summer: to enjoy the fruits of the season, stretch out long days filled with sunshine, reading and connecting with others in this digital world of ours. Learning together as we ask our students to do is the best kind of summer learning. It all sounds great, Julieanne. Great to hear about the chat and Cynthia Lord dropping in, too. That book is on my list to be read soon. I know I’ll love it. I’m not sure how many other PD books I want to read, but I think I would love The Unstoppable Writing Teachers. It just looks great. Of course, so do the others you mentioned! Congratulations on your 300th post. I’m certainly glad you started writing. Always great posts that makes me think! Have a great next week! You will love A Handful of Stars, guaranteed. As I said to Michelle, I can’t seem to balance out reading and writing, even in the summer. One things for sure, never bored! Thanks Michelle! I can’t imagine not reading yours. About the reading/writing thing, I can’t seem to balance it out. If I write, my reading suffers and if I read the writing suffers. Hmm, lesson for my kiddos there? Congratulations on your 300th post! I just posted my 650th post How did that happen? I have been watching Webinars from Jennifer Serravallo and am learning so much. I am asking our Teacher Librarian to pick up this title of hers for our professional collection. So much to read and learn. It seems like your summer if very full of this! Woo Hoo – 300 posts! I love reading your posts. This one is filled with enthusiasm for your summer learning. I loved The Storied Life of AJ Fikry. Fun read! So fun that Cynthia Lord dropped in on your Twitter chat! 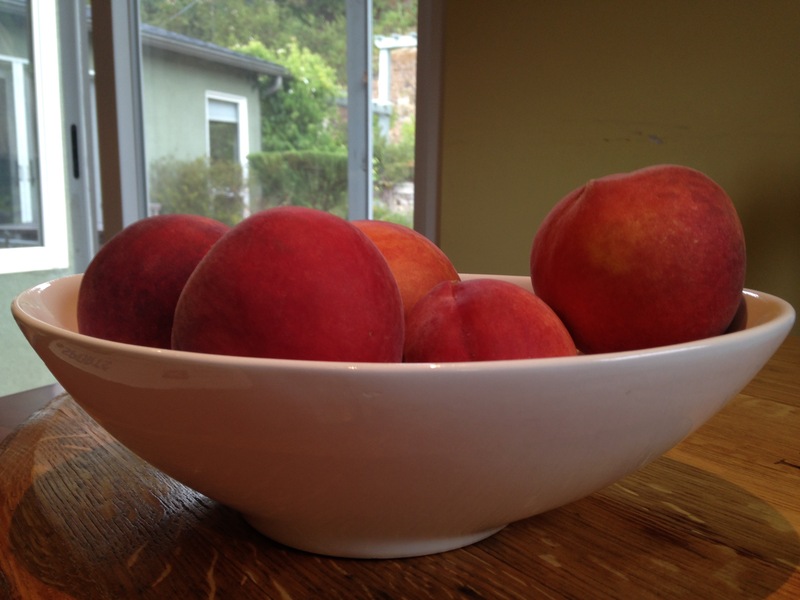 And that bowl of peaches – luscious! Congratulations on the 300th post, Julieanne!! I love the stuff you put out to the world. I learn so much from you! I have not read A Handful, but it’s on my to-read list! Happy 300th!! Your summer sounds rich with learning and just being in the moment. I am neck deep in house painting and organizing – but managing to fit in time for reading and learning, too. Ah, summer! High Five! You did an awesome job bringing us all together to read, write, and chat. I can’t believe how active you are on Voxer, too. I sometimes just click on your message to hear your voice. I am amazed at all the PD you are doing this summer. I am settling down since school starts soon, so I may not be participating as much in all my various places. I haven’t posted once in Teachers Write and I didn’t get to the Clmooc make until late this week. The opportunities are there, though, and that’s the best part.